It sounds like something you’d need to survive if you ever get stranded in the middle of nowhere with no way to call for help, but the Aspire Quad-Flex Survival Kit is actually an atomizer Swiss army knife that allows you to switch between four different atomizer configurations – a Genesis-type RDTA, a dripper, a squonker RTA and the popular Nautilus X tank – just by swapping the different components included in the package. It’s definitely something we haven’t seen before so I feel that Aspire deserve kudos for innovation even before we get started with the actual. The Quad-Flex Survival Kit comes in a nice little rectangular box that looks way less intimidating from the outside that it does from the inside. 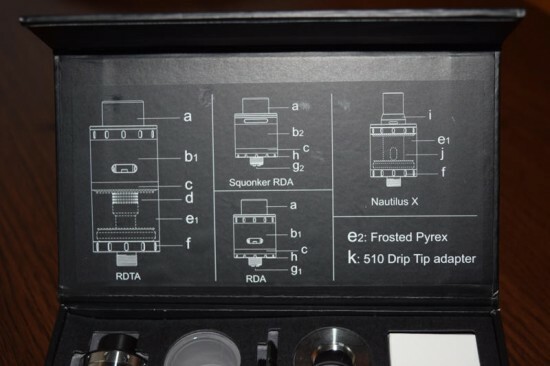 Once you flip the lid open, you’re either going to marvel at all the included parts and complex looking charts that serve as a guide to building all four different atomizer options, or you’re just going to slam the lid back on and throw the package somewhere you never have to see it again. I’ll admit that I myself was overwhelmed by all the different components at first, but the truth is the charts on the back of the box lid do a great job of showing exactly how to put together each configuration, and the building process is actually quite simple. 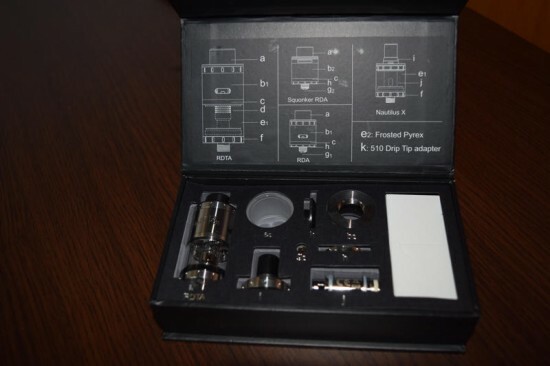 That said, even though getting four different types of atomizer for the price of one may seem appealing, if you’re a newbie vaper or if you just hate fiddling with IKEA-type products, this is probably not right for you. Experienced vapers, on the other hand, will most likely love the unmatched versatility of the Aspire Quad-Flex Kit. Love RDTAs? This thing offers a great one already pre-built. 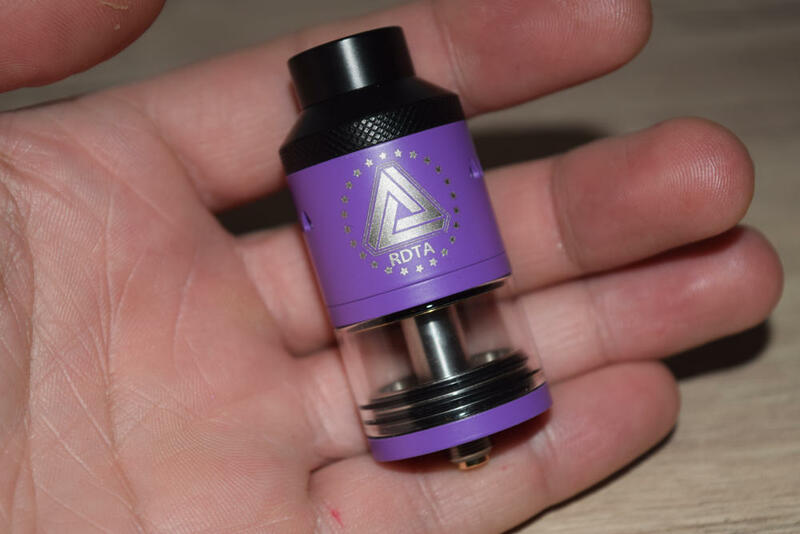 Or maybe you’re into drippers – you can convert the RDTA into one just be unscrewing the top part of the glass tube and changing the base. Need a new RDA for your squonker mod – the Quad-Flex has you covered, just change the connector pin and you’re good to go. And last but not least, the Aspire Nautilus X comes with a 1.4Ω coil-head that great for mouth-to-lung vaping. You’d probably need to spend over $100 to buy all these different atomizers separately, but with the 4-in-one combo, you can get them all in one package for just $30 -$50 (depending on the vendor). Some assembly is required but it’s still insane value for money. I’m not going through talk about each component included in the kit, they are fairly easy to figure out and are conveniently letter-coded to make the charts easier to read. What I will say is that you get an extra frosted-glass tube for the tank configurations, which is always nice for butter fingers, as well as a small box of goodies (some organic cotton, a couple of Clapton coils, spare post screws and a bunch of o-rings). The machining on all the components is impeccable – no scratches, sharp edges or nasty oil, and the threading is nice and smooth. Now let’s take a look at the possible configurations, minus the squonker RDA, unfortunately, since I don’t own a squonker mod, so I didn’t have anything to test it on. 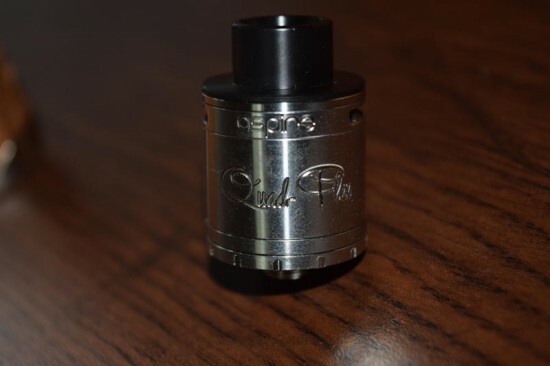 The Quad-Flex RDTA – This Genesis-inspired atomizer comes pre-assembled in the kit, so all you have to do is insert the provided coils, thread some cotton through them and trough the four holes in the Velocity-style deck, add juice, and you’re good to go. 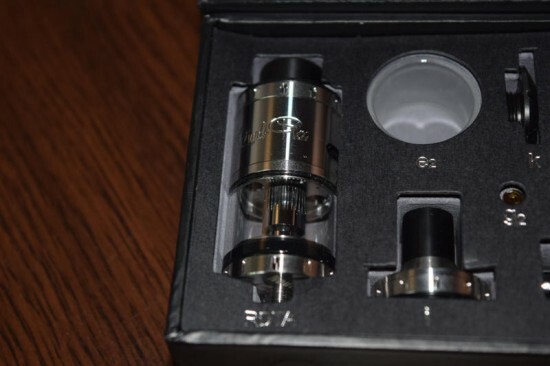 This RDTA comes with a wide-bore delrin drip tip, features adjustable airflow control, allowing you to fully close one of the holes facing the coils, for single-coil vaping, and comes with an adapter that allows you to use any standard 510 drip tip. The tank capacity is just 2ml, which isn’t very much, especially if you plan on using is with dual sub-ohm coils at high wattage. Like all Genesis-style atomizers, this thing can be really thirsty, so make sure you keep an eye on the juice level. Design-wise, the Quad-Flex RDTA is nothing special, just another high-quality atomizer that does what it’s supposed to. The two-post Velocity design of the deck offers great airflow, and you can expect both thick clouds of vapor and amazing flavor while vaping on it. The only thing I didn’t like about it was the lack of a proper fill port. It does have two tiny holes positioned between the wick slots, but unless you plan on filling the tank with a really thin needle, they’re pretty useless. 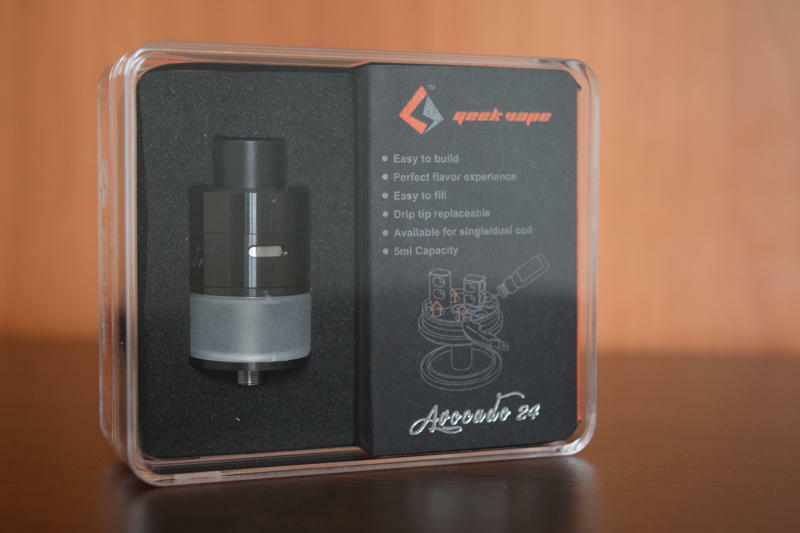 I for one preferred to put the juice in through one of the wicking holes and fixing the cotton after I was done, but a real fill port like the one on the Geek Vape Avocado 24 would have been much better. All in all, a pretty good RDTA, but if this is your first time using such an atomizer, I suggest you read up on how to properly wick it to get the best vaping experience possible. The RDA – Remember how I mentioned that the Aspire Quad-Flex Survival Kit looks very intimidating at first? It really does, but switching between the different possible configurations is actually fairly easy. To go from the RDTA to the RDA, for example, all you have to do is unscrew the tank portion and replace it with the included dripper base, and cut the long leads of your wicks. That’s pretty much it, now you can use that same awesome Velocity deck from the RDTA as an RDA. The only difference is that now you have to constantly drip e-liquid onto the wicks and coils, instead of them feeding from the tank. The Quad-Flex is decent as an RDA, although I personally prefer using it as an RDTA. The adjustable airflow control works just as well, but I’m kind of into bottom airflow these days, so I would have preferred the holes to be located on the bottom under the coils. That would have completely messed up the 4-in-1 design of the kit, though. It’s still a very good dripper, overall. The Nautilus X tank – Aspire released this mouth-to-lung tank a few months ago, and it still sells for around $30, but you can now have it for much, much less as part of the Quad-Flex Survival Kit. I still can’t get over how awesome that is. Switching to the Nautilus X is as easy as pie, if you manage to read the charts. 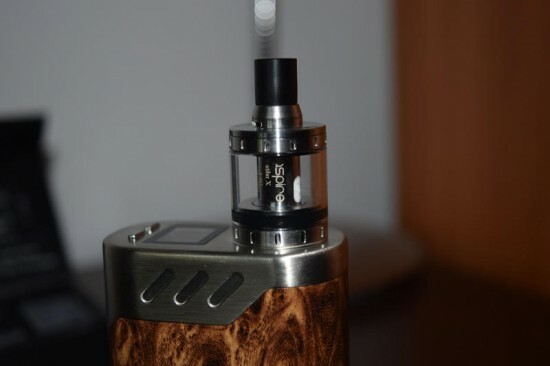 Basically, all you have to do is take the tank part of the RDTA, remove the chimney connected to the base and insert the coil-head included in the kit. 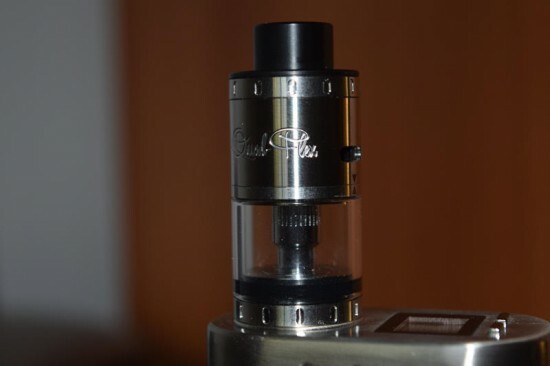 Then, just screw on the Nautilus X top cap onto the glass cylinder and you’re done. To be honest, I enjoyed the Nautilus X least of all. It’s not a bad tank, by any means, but I’m just not a huge fan of MTL vaping. The resistance was a whopping 1.4Ω, and even though the flavor was ok, the mediocre vapor production, coolness of the vapor and tight draw just didn’t do it for me. It’s nice to have, though, at this ridiculously low price, and mouth-to-lung vapers will probably appreciate it way more than I did. Sadly, I wasn’t able to test the squonker RDA, but it really shouldn’t be that different in performance from the regular RDA. 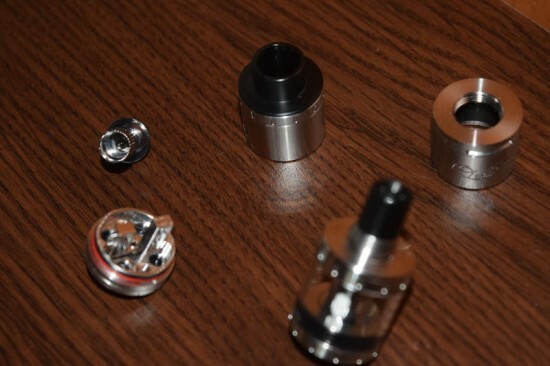 You have a hollow pin through which the juice feeds tight out of a container over the wicks, and the airflow holes on the side are a bit higher up than on the dripper. Hopefully i’ll get to try it out soon. 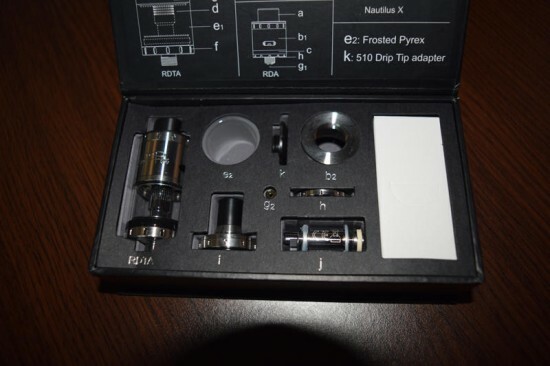 In the short presentation on the back of the box that this kit comes in, Aspire describes the Quad-Flex Survival Kit as a “game changer”, and after trying it out first hand, I can say that this type of 4-in-1 combo has the potential to change the way companies design tanks and atomizers in the future. The value for money you get with such a package makes buying it a no-brainer, but only if you can get past the initial fear of having to assemble and disassemble your gear whenever you want to switch to something else. It’s definitely not for everyone, but I love it.